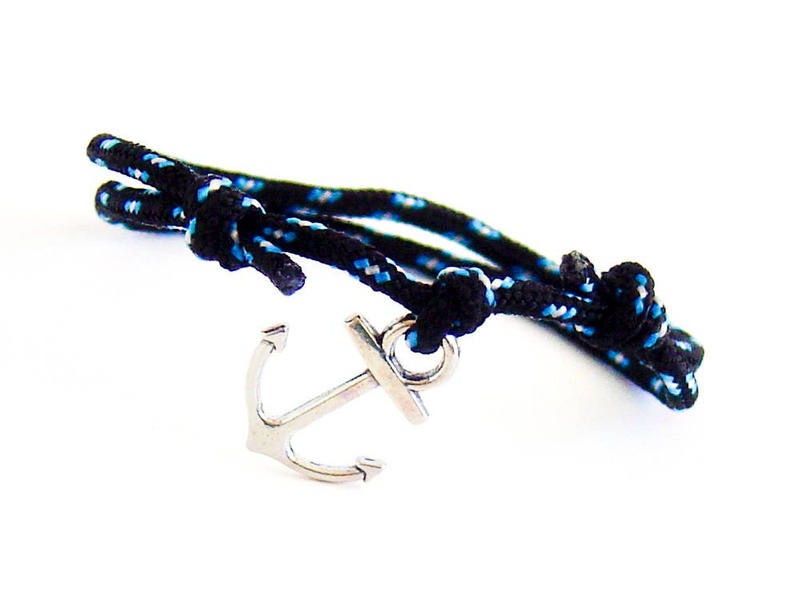 This mens anchor bracelet jewelry is handmade by us as mens fashion anchor bracelet. 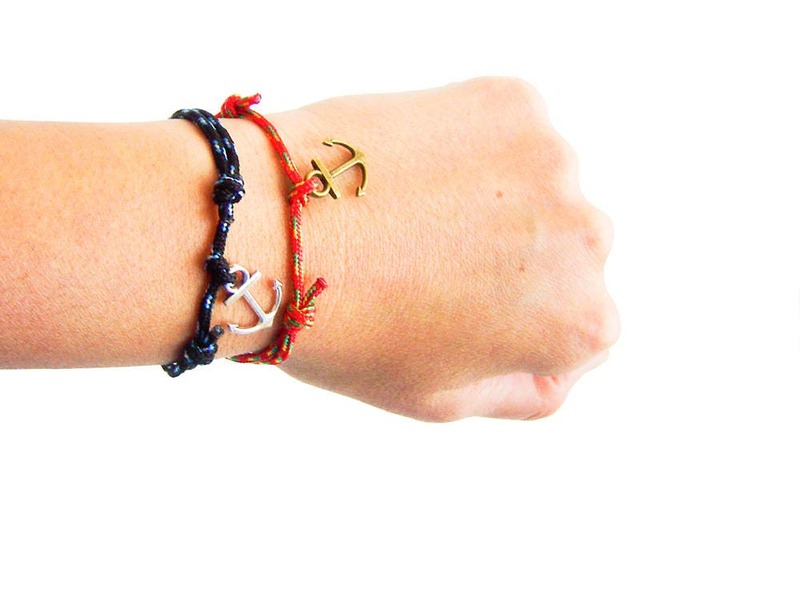 We designed it of tiny navy rope in red and blue. 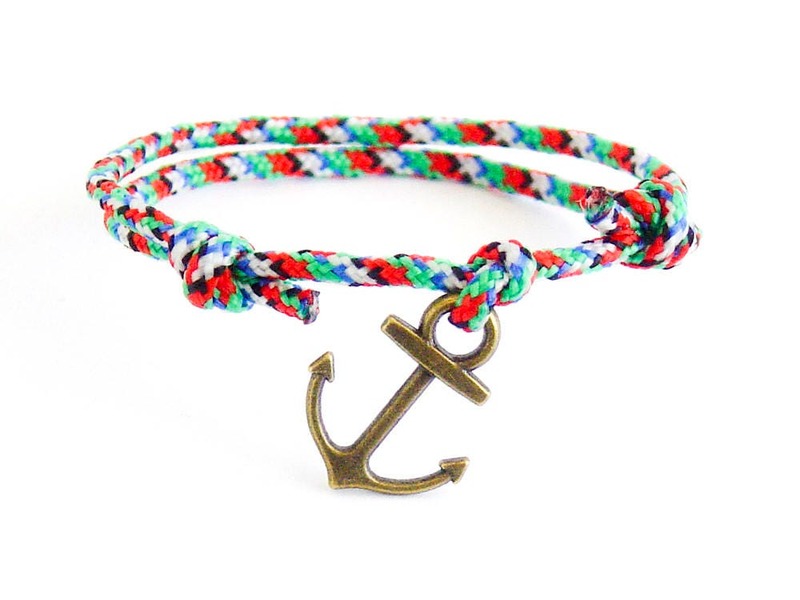 But you can purchase this mens nautical anchor bracelet in all the rope colors from the pictures. 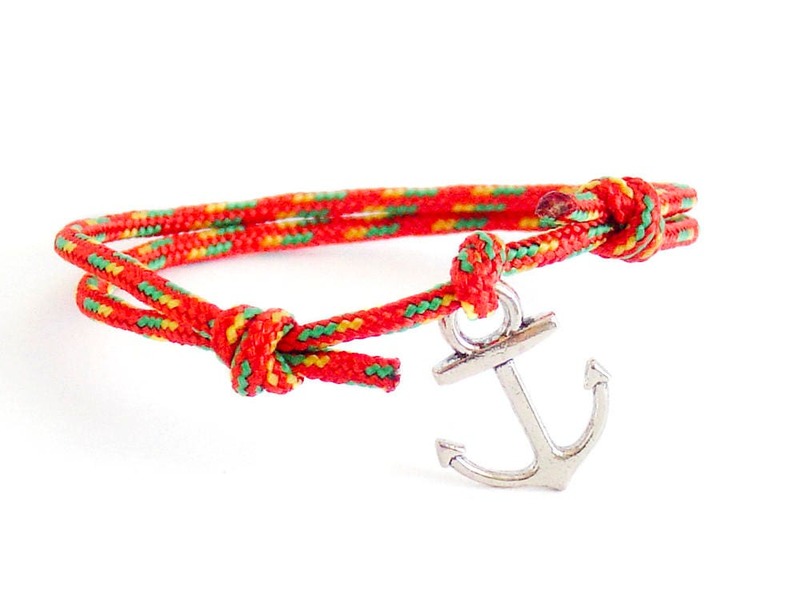 This wrap bracelet as an unisex model. 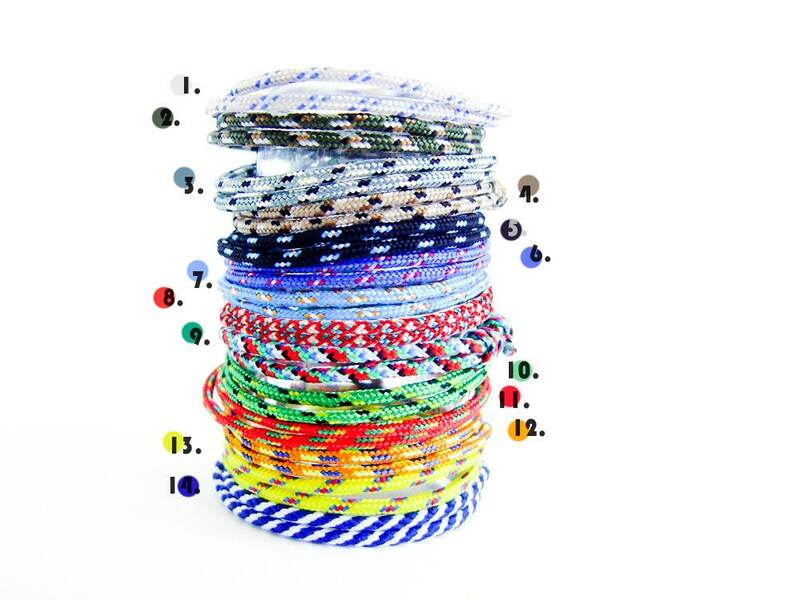 The length can be adjusted when you slide the knots, and it will be suitable for men and women also. 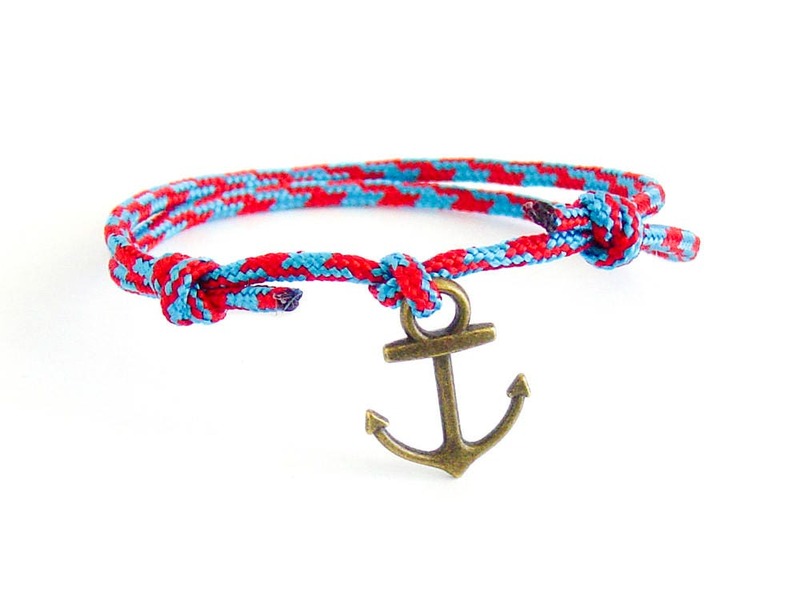 This rope, mens anchor bracelet is designed by us in 14 colors. * One size fits all. Adjustable. Just slide the link knots and you will get the desired size. 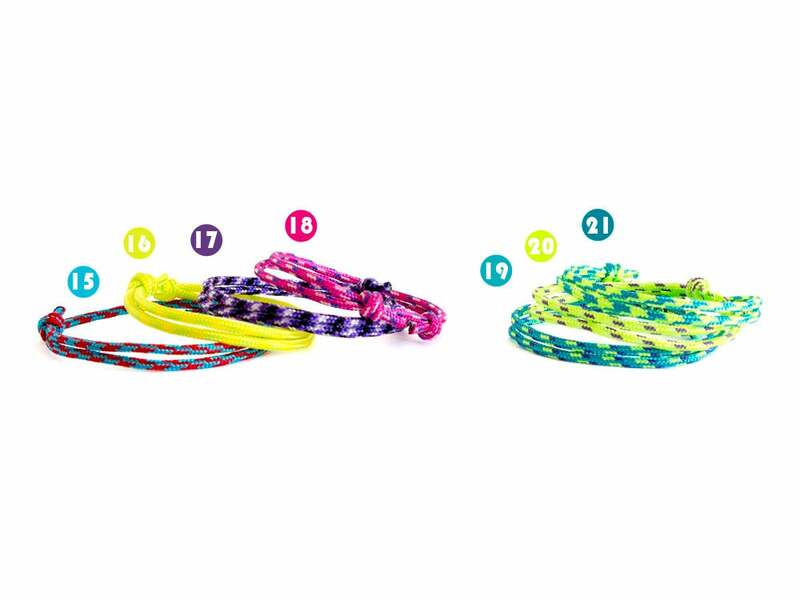 * The perimeter of the bracelet can be adjusted from 12 cm (4 3/4") to 25 cm (9 13/16"). 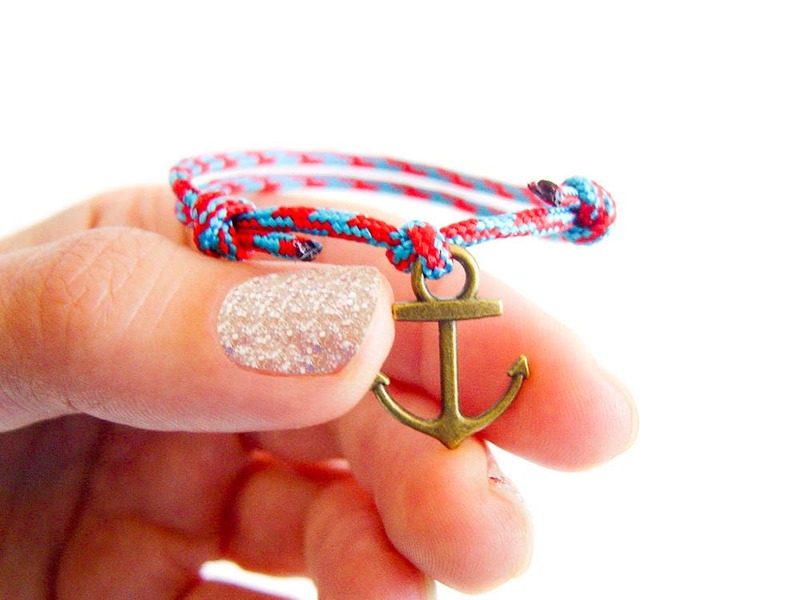 Size of the anchor: 1.9 cm long (3/4"), 1.5 cm (9/16") in the widest part. 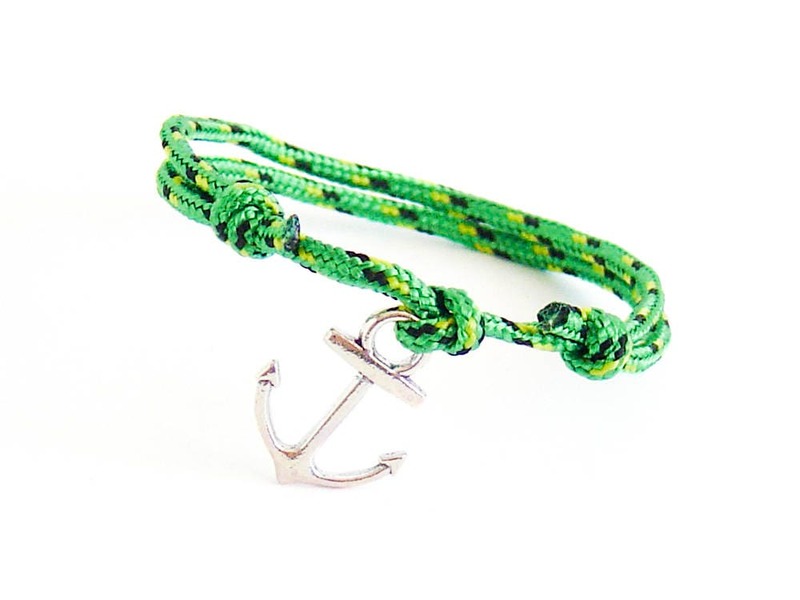 The diameter of the paracord of this mens anchor bracelet jewelry is 2 mm (3/32"). 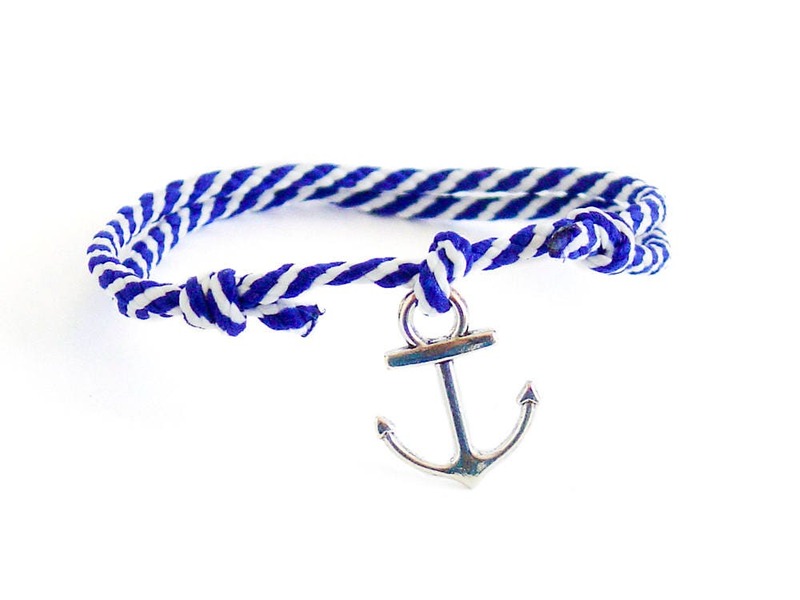 You can order this mens nautical anchor bracelet in all the rope colors from the pictures.